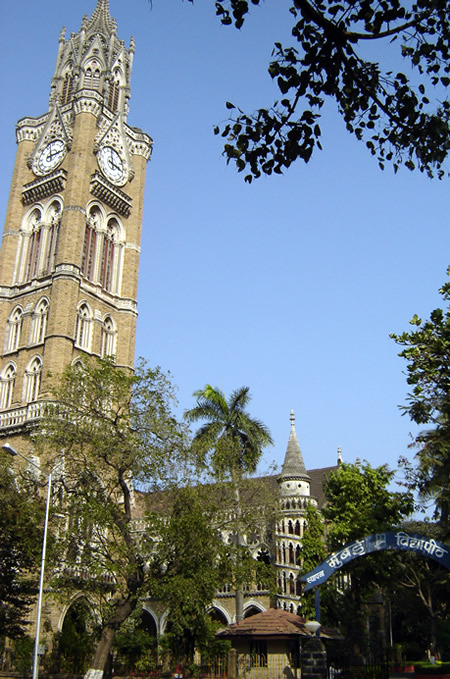 Photo: Elphinstone College, as part of the Victorian Gothic and Art Deco Ensemble of Mumbai. Image Credit: Franx. Manama, Bahrain, June 30, 2018 — India’s nomination of the “Victorian Gothic and Art Deco Ensembles of Mumbai” has been inscribed on UNESCO’s World Heritage list. The decision was taken at the 42nd session of the World Heritage Committee of UNESCO at Manama in Bahrain today. As recommended by the World Heritage Committee, India accepted the renaming of the ensemble as “Victorian Gothic and Art Deco Ensembles of Mumbai”. India has secured the inscription of the “Victorian Gothic and Art Deco Ensembles of Mumbai” on UNESCO’s World Heritage List under Criteria (ii) and (iv) as defined in the UNESCO’s Operational Guidelines. In the past five years, India has managed to get inscribed seven of its properties/sites on the World Heritage List of UNESCO. India now has overall 37 World Heritage Inscriptions with 29 Cultural, 07 Natural and 01 Mixed sites. While India stands second in number after China regarding the number of World Heritage properties in ASPAC (Asia and Pacific) region, it is overall sixth in the world. The Ensemble comprises of two architectural styles, the 19th-century collection of Victorian structures and the 20th century Art Deco buildings along the sea, conjoined through the historic open space of the Oval Maidan. Together, this architectural ensemble represents the most remarkable collection of Victorian and Art Deco buildings in the world which forms the unique character of this urban setting, unparalleled in the world. The Ensemble consists of 94 buildings primarily of 19th-century Victorian Gothic revival and early 20th century Art Deco style of architecture with the Oval Maidan in the center. The 19th-century Victorian buildings form part of the larger Fort precinct situated to the east of the Oval Maidan. 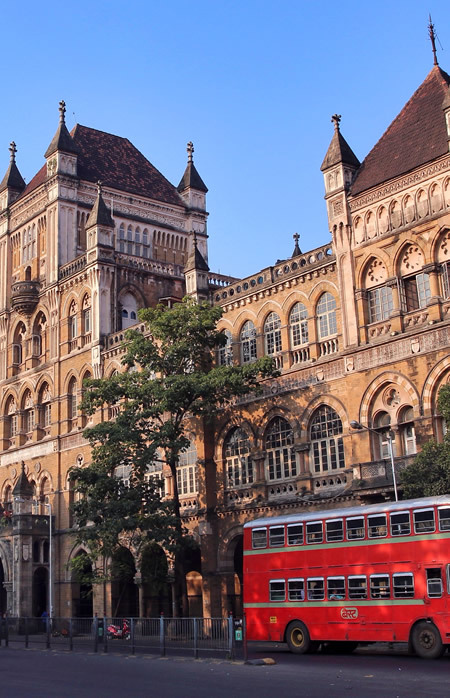 These public buildings include the Old Secretariat (1857-74), University Library and Convention Hall (1874-78), the Bombay High Court (1878), the Public Works Department Office (1872), Watson&#8217’s Hotel (1869), David Sasoon Library (1870), and the Elphinstone College (1888). The Art Deco styled buildings to the west of the Oval Maidan were raised in the early 20th century on the newly reclaimed lands at Marine Drive and symbolized the shift in expression to represent contemporary aspirations. Photo: India’s Union Minister for Human Resource Development, Prakash Javadekar, addressing a press conference. New Delhi, June 27, 2018 — In a landmark decision, a Higher Education Commission of India (Repeal of University Grants Commission Act) Bill 2018 which seeks to repeal UGC Act and provides for setting up of Higher Education Commission of India has been prepared by the Ministry of HRD (Human Resource Development) and placed in public domain for comments and suggestions. The focus of Higher Education Commission of India will be on improving academic standards and the quality of Higher Education. The Union Minister for Human Resource Development, Prakash Javadekar, has appealed to all educationists, stakeholders and the general public to furnish comments and suggestions by 7th July 2018 till 5 p.m. on the draft Bill. The Government announced that the draft Act is following its commitment to reform the regulatory systems, provide for more autonomy, and facilitate the holistic growth of the education system that presents more significant opportunities to the Indian students at more affordable cost. No more interference in the management issues of the educational institutions. Regulation will be conducted through transparent public disclosures, merit-­based decision making on matters regarding standards and quality in higher education. HECI will have the mandate of improving educational standards with the specific focus on learning outcomes, evaluation of academic performance by institutions, mentoring of institutions, training of teachers, and promoting the use of educational technology. It will develop norms for setting standards for opening and closure of institutions, provide for greater flexibility and autonomy to institutions, and lay rules for appointments to critical leadership positions at the institutional level irrespective of the law under which a University was started. The Regulator will have powers to enforce compliance with the academic quality standards and will have the authority to order the closure of sub­standard and bogus institutions. 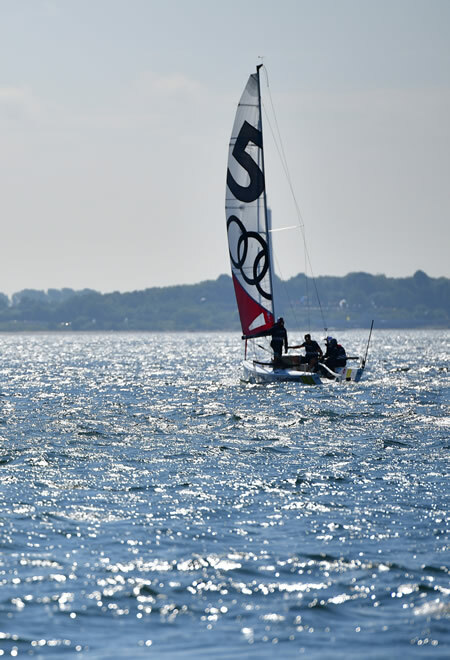 Photos: Sailing scenes during the AUDI E-Tron cup in Kiel, Germany. June 20, 2018. Photos by Alexander Koerner/Getty Images for AUDI. © 2018 Getty Images. 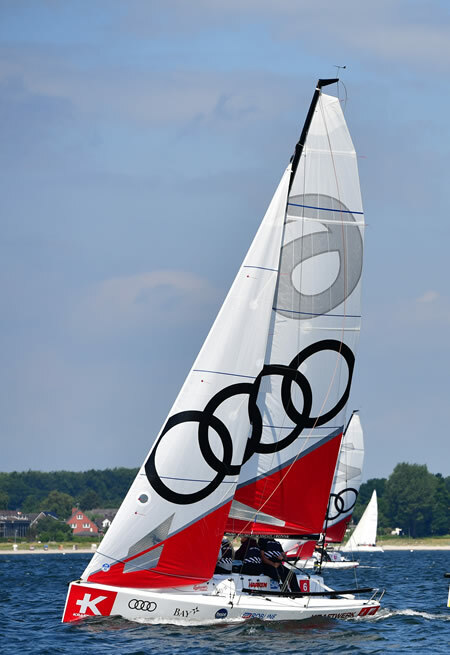 Images provided by AUDI. 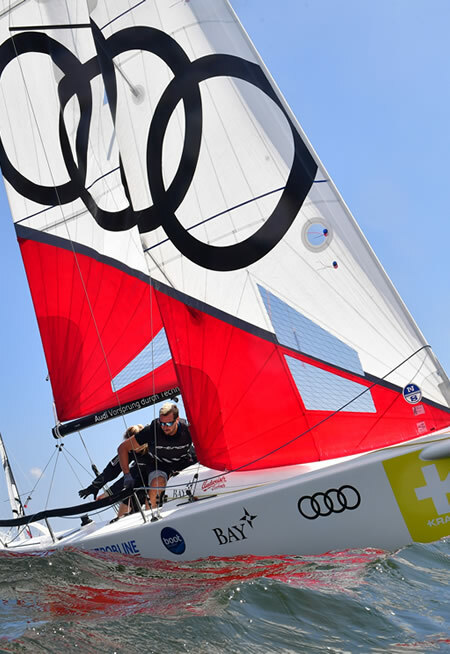 Audi sponsored Kieler Woche (Kiel Week), a famous sailing regatta, from 16th to 24th June, by presenting the Audi e-Tron Cup. Leading personalities from sports and show business competed against each other and tested their skills on the water. 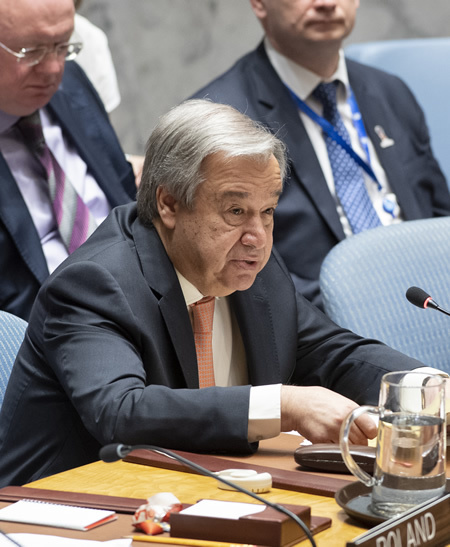 Photo: UN Secretary-General António Guterres addresses the Security Council meeting on the maintenance of international peace and security, with a focus on a comprehensive review of the situation in the Middle East and North Africa. 25 June 2018. United Nations, New York. UN Photo/Eskinder Debebe. 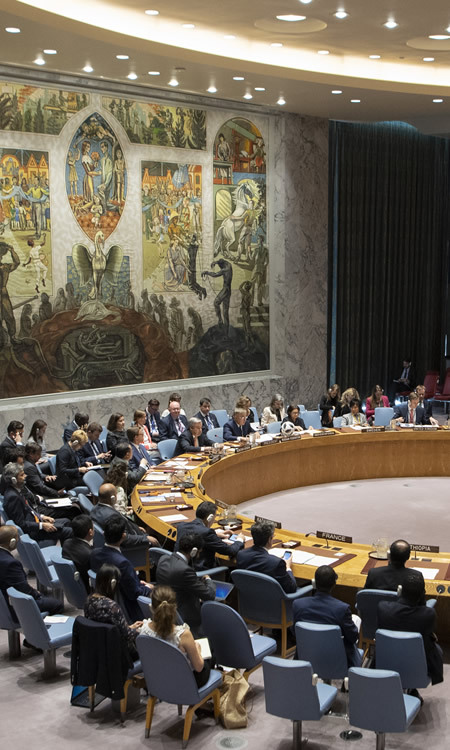 Photo: Wide view of the UN Security Council chamber as UN Secretary-General, António Guterres, addresses the Council meeting on the maintenance of international peace and security, with a focus on a comprehensive review of the situation in the Middle East and North Africa. 25 June 2018. United Nations, New York. UN Photo/Eskinder Debebe. 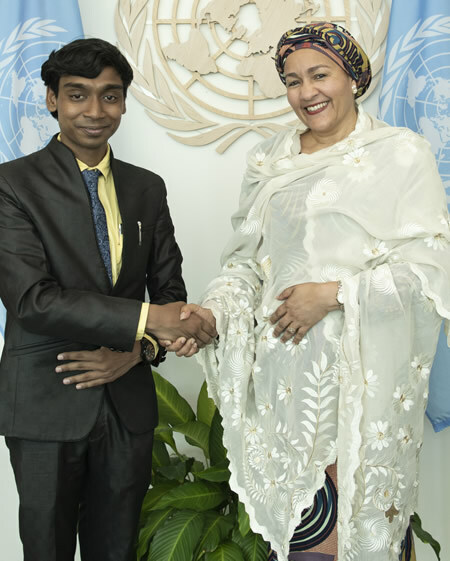 Photo: United Nations Deputy Secretary-General Amina Mohammed (right) meets with Apoorv Om, a UNESCO Youth Volunteer and (Deaf) Artist from New Delhi. 25 June 2018. United Nations, New York. UN Photo/Mark Garten. Photo: Rajabhai Tower, University of Mumbai, is a part of the Victorian and Art Deco Ensemble of Mumbai, India, which the UNESCO World Heritage Committee will examine for inclusion in the UNESCO cultural heritage sites list. Image credit: Nishita Desai. Manama, Bahrain — The opening ceremony of the 42nd session of the UNESCO World Heritage Committee took place Sunday at the Bahrain National Theatre in the presence of Crown Prince Salman bin Hamad al-Khalifa of Bahrain. It marked the beginning of the Committee’s work, which will continue until 4 July. Several hundred people took part in the ceremony, which was opened by the President of the Bahraini Authority for Culture and Antiquities, Sheikha Mai Bint Mohammed Al-Khalifa, the Chair of the 42nd session of the UNESCO World Heritage Committee, Sheikha Haya Bint Rashed Al-Khalifa, the Director-General of UNESCO, Audrey Azoulay, and the Chairperson of the Executive Board of UNESCO, Lee Byong-Hyun. “Expectations of this session are high, and we must seize this opportunity to strengthen joint work for the safeguarding of cultural heritage,” said Sheikha Haya Bint Rashed Al-Khalifa. “It is significant that this year the Committee is being held in an Arab country,” said the Director-General of UNESCO, Ms. Azoulay. “The idea of World Heritage has become a global norm,” she added. During the session, the Committee will examine 29 nominations for inscription on the World Heritage List. The World Heritage Young Professionals Forum will take place in Manama ahead of the Committee session, from 17 to 26 June. Its theme this year will be Protecting Heritage in an Ever-Changing World. Photo: Aseel Al Hamad completes a lap of honor in a Jaguar F-TYPE for the first time in Saudi Arabia to commemorate the country lifting the ban for women driving. June 21, 2018. Riyadh, Saudi Arabia. Photo by Fayiz Melibary/Getty Images for Jaguar. © 2018 Getty Images. 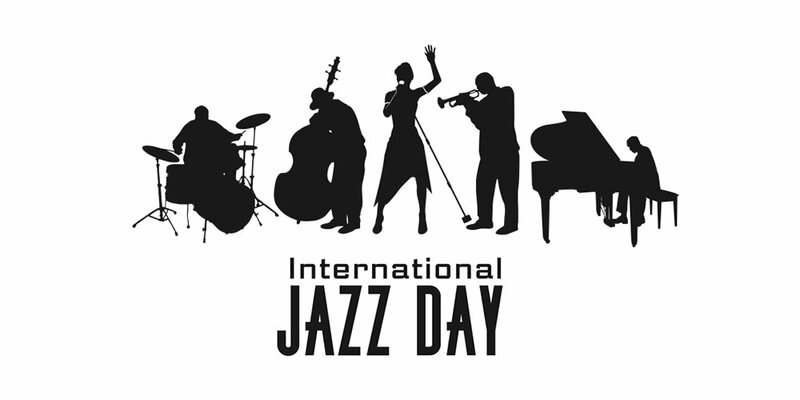 Image provided by Jaguar. Photo: Saudi female racer, Aseel Al Hamad, celebrates the end of the ban on women drivers, and the launch of World Driving Day with a lap of honor in a Jaguar F-TYPE on June 21, 2018, in Riyadh, Saudi Arabia. Photo by Fayiz Melibary/Getty Images for Jaguar. © 2018 Getty Images. Image provided by Jaguar. Riyadh, Saudi Arabia, 24 June 2018: Female racing driver Aseel Al Hamad celebrated the end of the ban on women drivers with a lap of honor in a Jaguar F-TYPE. Photo: Yongyi Min, Chief of Sustainable Development Goal Monitoring Section at United Nations Department of Economic and Social Affairs (DESA), briefs press on the launch of the 2018 Sustainable Development Goals Report. 20 June 2018. United Nations, New York. UN Photo/Loey Felipe. 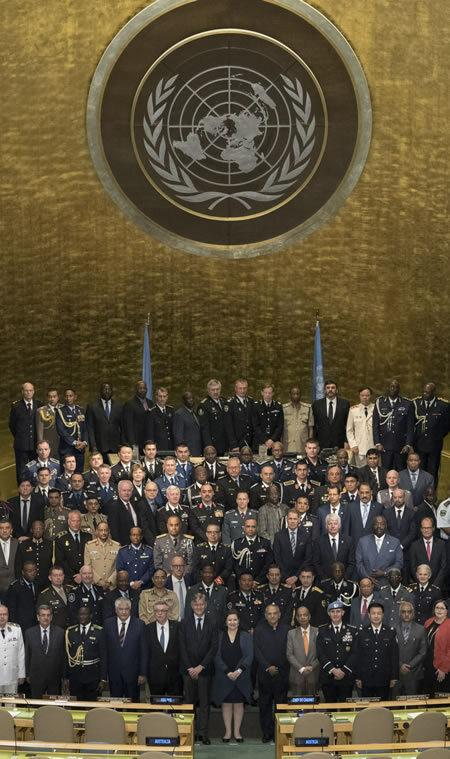 Photo: Participants of the second United Nations Chiefs of Police Summit (UNCOPS) pose for a group photo in the General Assembly Hall. Secretary-General António Guterres’s Chef de Cabinet, Maria Luiza Ribeiro Viotti (front row center) is representing him in the summit. The gathering of police leaders from around the world is taking place at UN Headquarters in New York from 20-21 June. 21 June 2018. United Nations, New York. UN Photo/Mark Garten. The International Olympic Committee (IOC) and Lacoste have announced the launch of the first exclusive Olympic Heritage lifestyle apparel collection, developed by Lacoste. 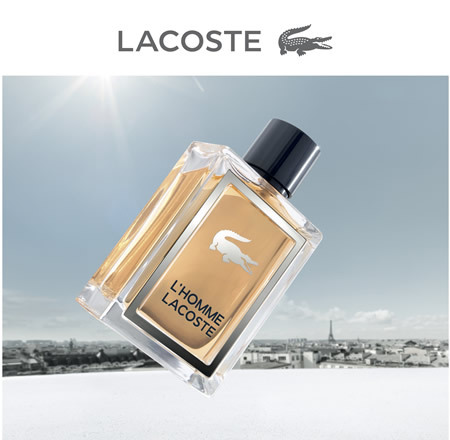 Lacoste, the Crocodile brand, is present in 120 countries and offers a wide range of products — apparel, leather goods, fragrances, footwear, eyewear, home wear, watches, and more. 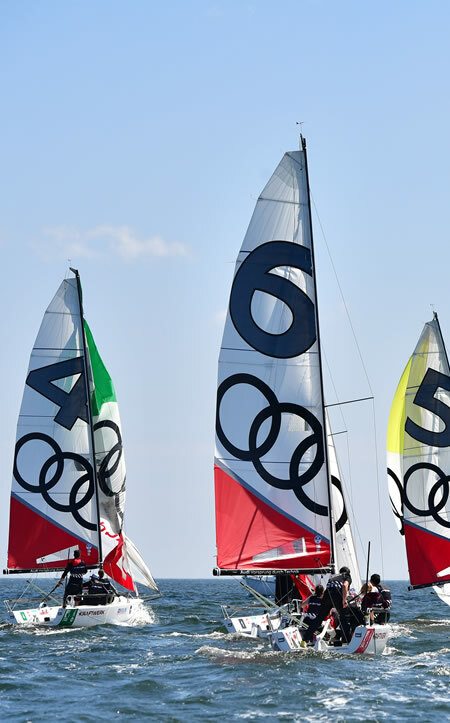 According to IOC, the Olympic Heritage collection is an essential element of the new IOC Global Licensing Strategy, developed in line with Olympic Agenda 2020. Lacoste’s new men’s clothing and accessories line will feature limited edition collections that will reflect the graphic legacy of legendary Olympic Games and would highlight the 50th anniversaries of the Olympic Winter Games Grenoble 1968, and the Olympic Games Mexico City 1968. 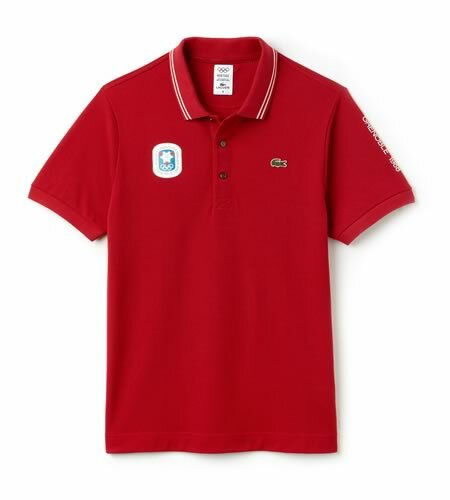 The IOC and Lacoste collaboration will continue until 2020, with a collection developed each season, which will initially be sold, starting this summer, in 10 countries: Canada, China, France, Germany, Italy, Japan, Mexico, South Korea, Spain and the UK. Building on Olympic Agenda 2020 and launched in 2014, the IOC Global Licensing Strategy aims to create a tangible connection to the Olympic Games and Olympism through merchandising programmes that are aligned with the Olympic image and enhance brand value and goodwill. The objective is to strengthen and promote the Olympic brand, not only during the Olympic Games but between Games as well. 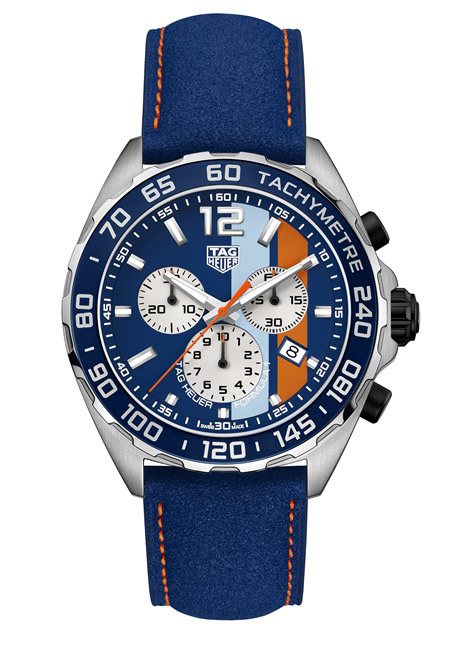 Fifty years later, TAG Heuer, a partner of Gulf, is revisiting the famous race to celebrate this anniversary by launching the TAG Heuer Formula 1 Gulf Special Edition watch, an automotive model synonymous with performance and speed. Image provided by & copyright © TAG Heuer. 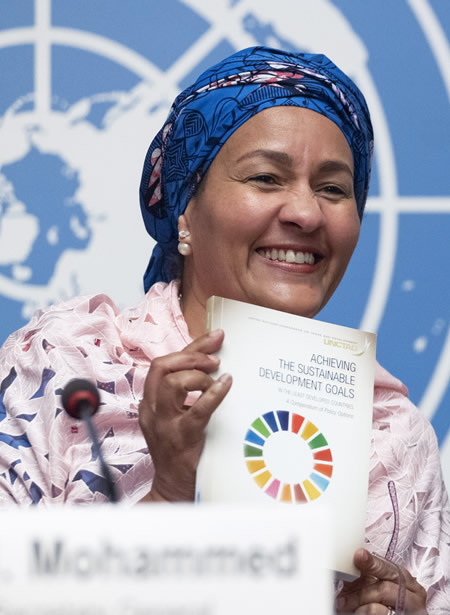 Photos: Amina J. Mohammed, Deputy Secretary-General of the United Nations, during the launch of the publication, Achieving the Sustainable Development Goals in the Least Developed Countries. 06 June 2018. Geneva, Switzerland. UN Photo/Jean-Marc Ferré. 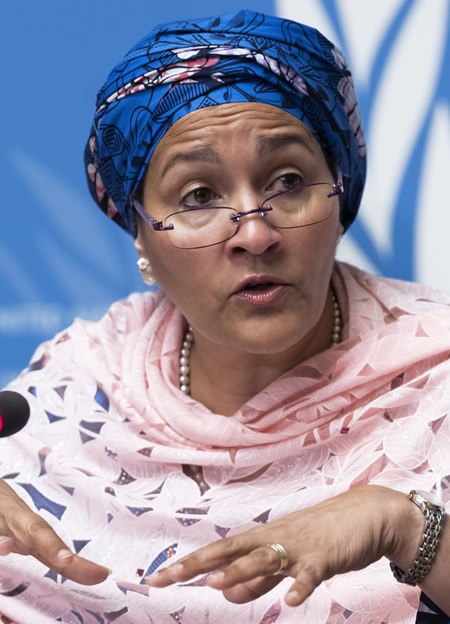 Geneva, Switzerland - Amina J. Mohammed, Deputy Secretary-General of the United Nations, launched a unique policy compendium in Geneva that aims to assist governments of the world’s most disadvantaged countries in boosting prosperity and meeting the Sustainable Development Goals. 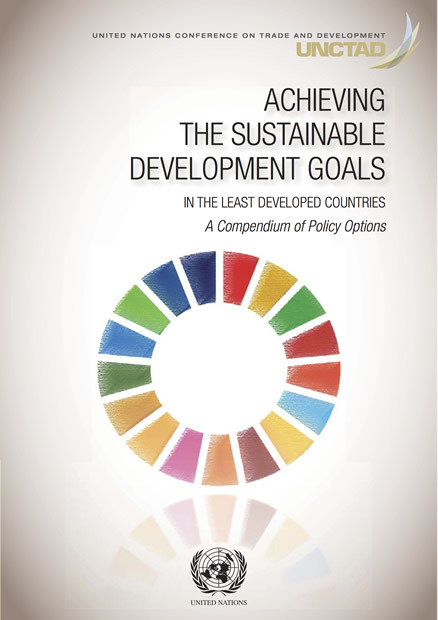 The policy compendium, entitled Achieving the Sustainable Development Goals in the Least Developed Countries (LDCs), integrates nearly 15 years of UNCTAD research and policy materials in a single source that connects growth objectives with concrete steps and practical actions to reach specific targets of the global goals. 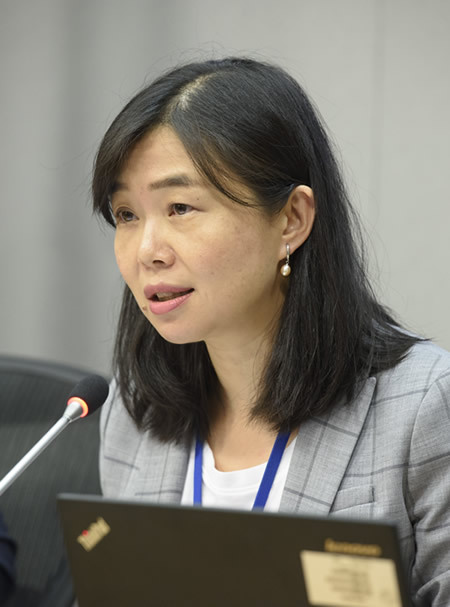 “UNCTAD is, as it always has been, in the forefront of crafting vital policy options needed for the structural transformation of the world’s poorest and most fragile economies,” said Ms. Mohammed, who was instrumental in bringing about the 2030 Agenda for Sustainable Development, of which the 17 Sustainable Development Goals are at the core. “I welcome this UNCTAD compendium as a powerful resource for countries working to achieve the targets of the Sustainable Development Goals, and for their development partners worldwide,” Ms. Mohammed remarked. Photos: Lamborghini Huracán Performante Spyder. 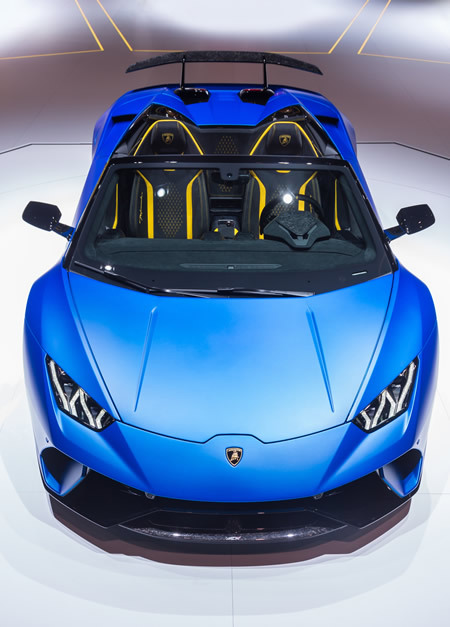 Images provided by & copyright © Automobili Lamborghini S.p.A.
Automobili Lamborghini recently presented the Lamborghini Huracán Performante Spyder. The Huracán Performante Spyder incorporates all the latest developments in the Huracán nameplate and provides enhanced emotion of driving a convertible, said Stefano Domenicali, Chairman and Chief Executive Officer of Automobili Lamborghini. He was introducing this new sports car model. 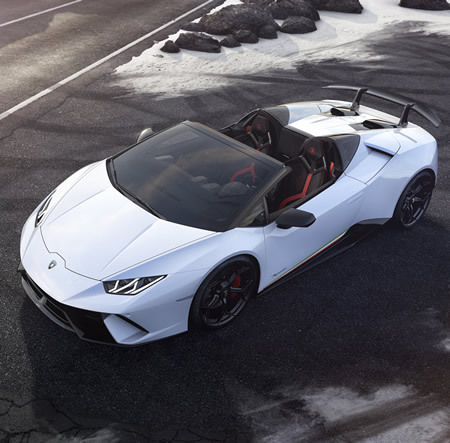 With its unique engine and the permanent four-wheel drive, Performante Spyder accelerates from 0 to 100 km/h (0 to 62 mph) in 3.1 seconds and 0 to 200 km/h (0 to124 mph) in 9.3 seconds with a top speed of 325 km/h. The Huracán Performante Spyder is a super sports car for driving on the road as well as on the track, the company explained. The visible carbon fiber running throughout its aluminum body produces its lightweight character, contributing to a weight reduction of 35 kg over the original Huracán Spyder. The Huracán Performante Spyder, with the roof open or closed, is a driver’s car in challenging dynamic situations as well as in thrilling lifestyle experiences, Lamborghini elaborated. 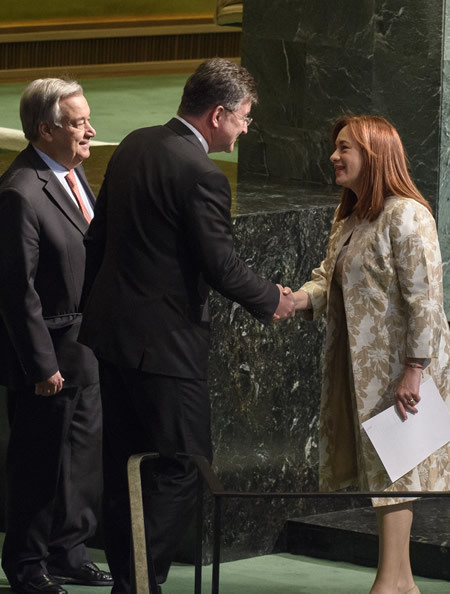 Photo: The United Nations General Assembly elected María Fernanda Espinosa Garcés, Minister of Foreign Affairs of Ecuador, as President of its seventy-third session. She will be the fourth woman to hold the post. Miroslav Lajčák, President of the seventy-second session of the General Assembly, is seen congratulating Ms. Garcés (right) following her address to the General Assembly. Also pictured is UN Secretary-General António Guterres. 05 June 2018. United Nations, New York. UN Photo/Loey Felipe. 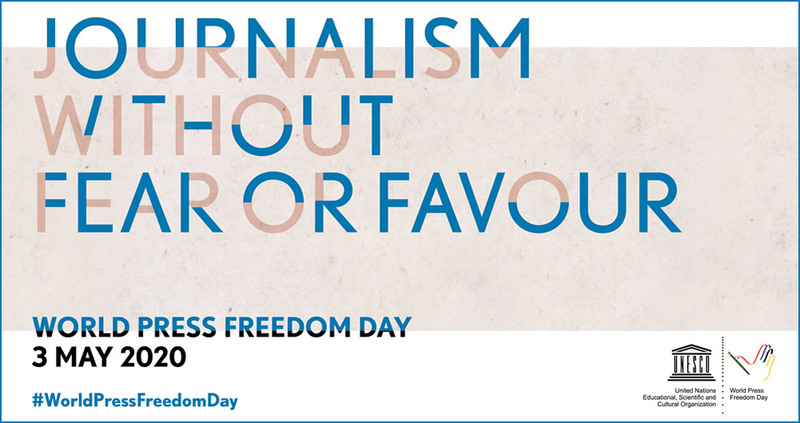 Photo: (From the UN Archives). The eighth session of the General Assembly of the United Nations, convened at U.N. Headquarters in New York, elected Vijaya Lakshmi Pandit, of India, as its President. Mrs. Pandit was the first woman to hold this post. This picture, taken just after the election, shows Mrs. Pandit receiving the gavel from Lester B. Pearson, of Canada, retiring President. 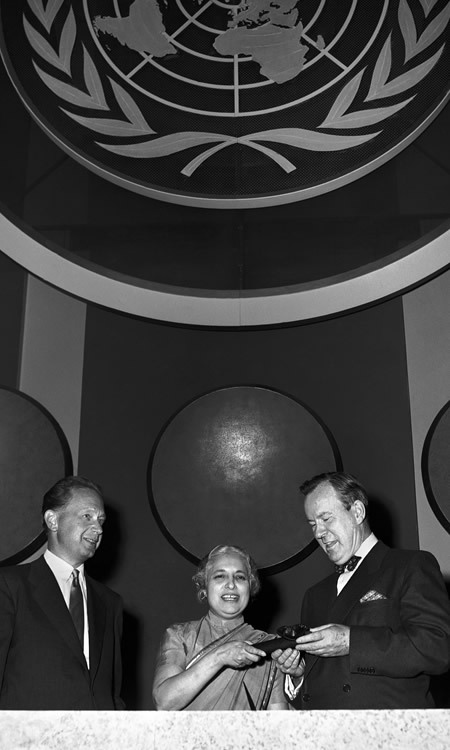 Standing at left is Dag Hammarskjöld, Secretary-General of the United Nations. 15 September 1953. United Nations, New York. UN Photo/Marvin Bolotsky. Photo: (From the UN Archives). The eighth session of the General Assembly of the United Nations, convened at U.N. Headquarters in New York, elected Madam Vijaya Lakshmi Pandit, of India, as its President. 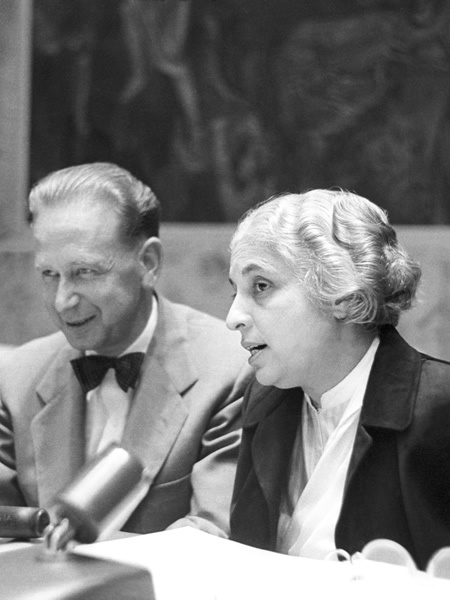 Madam Pandit is photographed here with U.N. Secretary-General Dag Hammarskjöld. Madame Pandit was the first woman president ever elected by the U.N. General Assembly. 16 September 1953. United Nations, New York. UN Photo/Albert Fox. 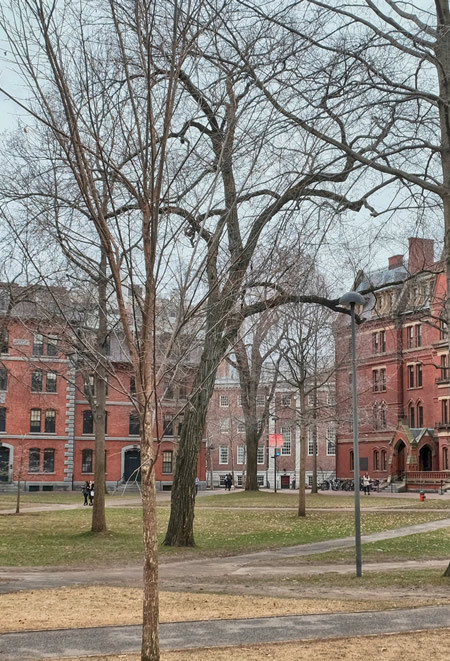 Photo: Harvard Yard, Harvard University, Cambridge, Massachusetts, USA. Image Credit: Jonathan E. Shaw. London, June 6, 2018 — The fifteenth edition of the QS World University Rankings was released today by global higher education analysts QS Quacquarelli Symonds. QS ranks the world’s 1000 best universities, which come from 85 different countries. Indian Institute of Technology Bombay, Indian Institute of Science Bangalore, and Indian Institute of Technology Delhi, climb and are in the top 200 of the world in QS World University Rankings, considered one of the most authoritative and prestigious rankings in the world. 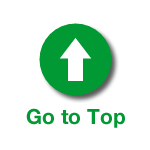 IIT-Bombay is now the top institute in the country, placed at 162. The Indian Institute of Science (170) is at the second place. IIT-Delhi (172) is at the third place. The number of Indian universities in the top 1,000 increases from 20 to 24. Panjab University Chandigarh gets eliminated while its mother, University of the Punjab, Lahore, Pakistan, gets placed in the 801-1000 group. 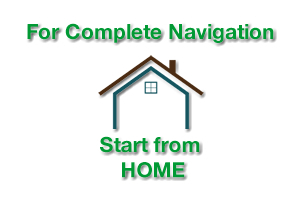 Thapar Institute of Engineering and Technology, Patiala (801-1000), Amrita University (801-1000), Amity University (801-1000), and Jamia Milia Islamia, New Delhi (751-800) are new entrants this year. Their achievement is commendable. Excellent performance by University of Delhi (487), University of Hyderabad (591-600), Jadavpur University (601-650), Anna University 751-800), Jamia Millia Islamia, New Delhi (751-800), and Manipal Academy of Higher Education (751-800). Aligarh Muslim University (AMU), Amity University, Amrita Vishwa Vidyapeetham (Amrita University), Banaras Hindu University, Birla Institute of Technology and Science, Pilani, Savitribai Phule Pune University, University of Calcutta, University of Mumbai, Vellore Institute of Technology, are all placed at 801-1000 in the QS World University Rankings 2019. Pakistan Institute of Engineering and Applied Sciences (PIEAS) (397) tops in Pakistan, while Bangladesh University of Engineering and Technology (801-1000), University of Dhaka (801-1000), and University of Colombo (801-1000) lead in Bangladesh and Sri Lanka respectively. India’ positive performance is symptomatic of a successful year for the country’s higher education system, said Ben Sowter, QS Research Director. “Indian progress can be primarily attributed to improvements in QS’s reputational indicators, which account for the insights of 83,000 academics and 42,000 employers. Seventeen of India’s 24 ranked universities improve their rank for Academic Reputation, while 13 improve their rank for Reputation among Employers,” Sowter added. “Most of India’s other universities are struggling to improve their research impact, relative to global competitors. India’s universities are also struggling to internationalize in an increasingly competitive international education market,” Sowter explained. R. Subrahmanyam, Secretary, Higher Education, HRD Ministry, expressed his view that the result of the QS World University Rankings 2019 is an affirmation of faith in the premier Indian higher educational institutions and an endorsement of the effectiveness of the measures being taken by Indian Government to improve the ranking of Indian institutions. 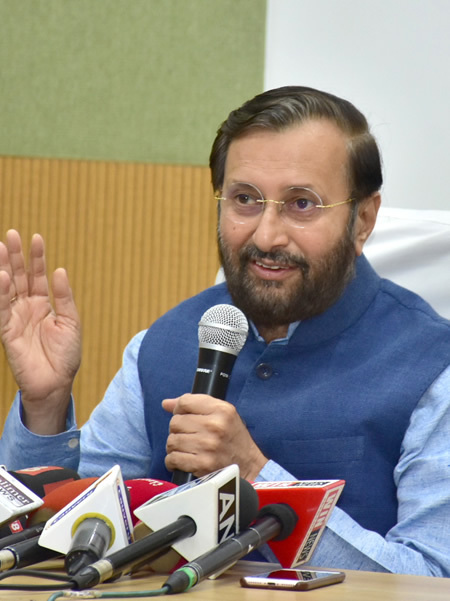 The Minister of Human Resource Development, Government of India, Mr. Prakash Javadekar said that the successes registered by Indian Institutions in QS World Best Universities Ranking 2019 released today is the result of relentless work in the premier institutions and various initiatives of HRD Ministry under the guidance and dynamic leadership of Prime Minister, Mr. Narendra Modi. The minister congratulated the Indian Institutes ranked among the top 500 institutions in the rankings. 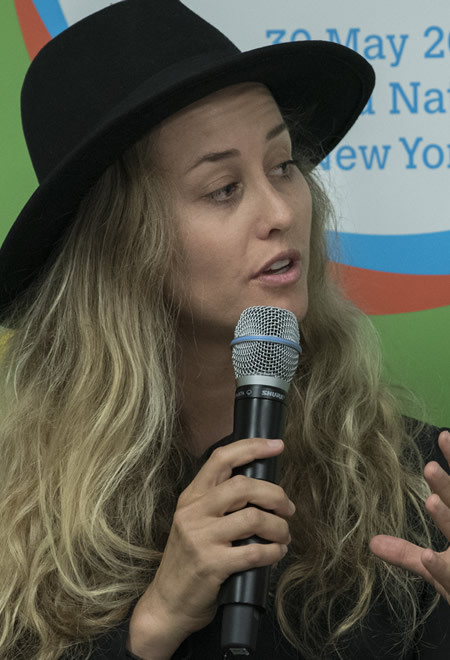 Photo: Chantelle Sladics, Professional Snowboarder, participates in a dialogue on the theme “Let’s talk about sports! Why sports and development go hand in hand”. 29 May 2018. United Nations, New York. UN Photo/Mark Garten.